It would be facile to describe the swearing in of CV Wigneswaran as the chief minister of the Northern Provincial Council (NPC) at the ‘Temple Trees’ in the presence of President Mahinda Rajapaksa on October 7, 2013 as a breakthrough in the troubled relationship between the Sinhala majority and the Tamil minority. Both the communities have many more miles to go before they can forge a new relationship. After all the pre-election rhetoric, a chief minister of the Tamil National Alliance (TNA) – a party described till yesterday as LTTE proxies – swearing by the constitution in the presence of the Sri Lanka President does herald a change. It signals the willingness of both the TNA and the government to evolve a working relationship. The Sri Lankan military’s action of blowing up one of the final abodes of LTTE leader Prabhakaran on the election-eve may well portend changes more than symbolic. Even otherwise, it is a good beginning that might turn out of be nothing more than that if it is not sustained. There is no doubt the NPC chief minister has a difficult task of meeting voters’ aspirations within the constricting format of 13the Amendment (13A) ‘Minus.’ And to get some results he has to progress a dialogue with a highly assertive national leadership. Added to this is the opprobrium of TNA being considered as an Indian proxy while trying to live down its unpleasant client relationship with LTTE in the past. The ‘India proxy’ tag of TNA seems to cloud the thinking of not only key national leaders but even better informed Sri Lankans. A case in point is the editorial description of the well merited TNA electoral victory by the Sunday Times, Colombo, on October 29. 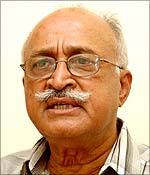 It said: “India has eventually got its way by having its proxy now in power and place in the North of Sri Lanka. This was the foothold it had wanted all these years and it is going to be more than a headache for the Mahinda Rajapaksa Government that caved in to concerted pressure from the so-called “international community”. Was this the sum total of an election held after 25 years? Does it require international pressure for an elected government to “cave in” to conduct its own election? This is the national environment in which the TNA has to rebuild a win-win relationship with an increasingly ‘authoritarian government’ (description courtesy: Ms Naveneetham Pillai of UNHCR). Given this situation, the NPC and Wigneswaran will need India’s handholding to wade through the complex political quagmire although he has talked of TNA going ahead all by itself. So the maiden visit of Indian Minister for External Affairs Salman Khurshid on October 7 and 8 assumes greater importance than merely meeting with his counterpart to discuss the post-NPC election scene, reviewing progress of India-assisted projects or witnessing the signing of agreements for Indian-aided Sampur thermal power plant. There was a welcome effort at public diplomacy during the Indian MEA’s visit. In the two public interactions, the MEA spelled out his perceptions on some of the major issues after interacting with his counterpart and the President. He reiterated India’s call for an early political settlement and national reconciliation through meaningful devolution (italics added) of powers, to ensure all Sri Lankans, including Tamils, lead a life marked by equality, justice, dignity and self-respect. Indian expectation would be the fulfilment of the President’s promise to implement 13A ‘plus.’ The Indian MEA’s diplomatic answer to a pointed question on ‘meaningful devolution,’ indicated he expects the NPC to take it forward in a dialogue process with Colombo with India assuming a smaller profile. Sri Lankan MEA Prof GL Peiris’ intervention on the constitutional process of working out a consensus by a Parliamentary Select Committee (PSC) was interesting. Of course, a point he ‘forgot’ to mention was that this PSC was largely a ruling party body. In other words there was no change in the stated positions of the two countries on the issue. However, he indicated no time frame for completion of this process in his answer during the press interaction. This would indicate the issue would continue to figure as an uncomfortable item on the agenda of India-Sri Lanka relations. A new complication has been added with the Sri Lanka Supreme Court’s recent ruling that provincial councils does not enjoy land powers, as interpreted by India and the Tamil polity. This may trigger a new, tedious legal process adding to the delay. Here also Prof Peiris intervened to remind that this was a livelihood issue of Sri Lankan fishermen, and emphasised the need for “some concrete action” to reduce the numbers of boats and fishermen coming into Sri Lanka’s territorial waters and to prevent large numbers coming into to take away Sri Lanka’s marine resources. Sri Lanka’s stand is likely to be supported by NPC also. Considering this it is not clear how any consensus between the fishermen from both countries can be a substitute for a substantive agreement between both the countries to resolve this issue. Apparently India is hoping to buy time till 2014 till the Indian elections are conducted to reduce any adverse political impact. It would appear that India had still not made up its mind on the participation of Indian Prime Minister in the CHOGM. Indicating this, the Indian MEA said that he would be participating. In other words, India would not be boycotting the CHOGM although the level of participation was undecided. Perhaps this stand was adopted for the time being as New Delhi awaited for some response from Colombo to meet some of India’s requirements. However, as the issue of Indian PM’s participation is likely to gather political momentum during the second half of the month, we can expect the Indian government to decide on his attendance at the CHOGM only in the last moment. Despite these loose ends on some of the gut issues, it is clear a new political environment has been created with the ushering in of NPC, dominated by the TNA. And not only the Sri Lanka government and the Tamil polity, but India as well, will have to come terms with this new environment. The apparent willingness of Sri Lanka government and NPC to enter a dialogue is an encouraging sign. This question needs to be answered by India’s national leadership and not by the MEA. Though it had been confronting the issue for quite some time, it has not addressed it substantively. And it cannot be wished away as an obdurate Sri Lanka President had made the job more difficult for India. Indian leadership will have to find an answer soon as the coalition political situation is getting murkier every day. And that would require some difficult tightrope walking. “It signals the willingness of both the TNA and the government to evolve a working relationship” – I agree TNA has shown it willingness. *****So far govt has not shown any willingness*****. Ah! Harry me boy. The pot is still a boil with the good Doctor Dayan promising an “organic’ military regime south of Vavuniya” and also a “Buddhist Brotherhood”. We have our own Kautilya now you see and let the best man win eh? I have never understood you Indians. Where did these Sri Lankan Tamils come from? I mean I always thought that all Tamils come from this Tamilnadu place. Have I been wrong? What ho? And I notice that there are probably over a million of these Indians slaving away on the plantations in the islands central hill country region. Are these also Sri Lankan Tamils? Dr. Dayan no doubt sees them as useful hostages with which to bargain with your Tamilnadu. Of course if he tries that he will learn about this class consciousness he preaches about. There will not be so much as a squeak from Tamilnadu even if these plantation workers are burned to a cinder. India knows more about class consciousness than the good Dr. Dayan does. Right? Back to a numbers game then? Where did the Sinhalese come from? They also came from India! So, it makes no difference! Our school history books (our heritage) started from the year 1505 for a specific reason. The Salagama have Arabic blood infused by the Portuguese and the king had to drive the Portuguese away- check spice trail to Kerala and Ceylon which is on video 3 part series. Blood is stronger than water- The Sinhalese from south still follow the same route as houseboys/maids right up to southern Europe but not the Tamils. Initially over 2000 years ago the Bihar bandits came here. They had to stop there were no planes and they just wondered till they crossed over so we see different settlements where they have mixed for years before landing at the island. Go to Bihar see inscriptions on stone of the past. Lumbini is further upwards not next to Gujarat or Bengal or Kerala. Why don’t you argue in favour of Africa. that is where all began. Upar wala Mulagathanni game is up- Reason can dream what dreams cannot reason. From the day of Om Tat Sat Indian foreign policy has been Alu-Porote centric has it ever alienated the rest of India especially UP and Bihar which brings the governing party to power? No. Go to Shaolin and Longman Grottos they have more of Gautama than India and Bhutan have. Talk of class China is no different from India in every detail-.- north wheat south rice and down to the village 42 ethnicities etc. Go see touch taste then tell us what you know than the immediate pat we already know. There is NO doubt that at least a part of the party is the ex-LTTE’s. The sheep skins worn today are not sufficient to hide the spots. They demand the same things that the terrorists made, and what they could NOT gain by force of arms, they aim to get by other means, USING India. No self-respecting leader would surrender 35% of the land mass to a minority of 4% (in one province), because they demand it. Where ever Tamils live that is Tamil land. Percentage doesnot a problem here. Dont b;lame the Tamils for oters multiplying like pigs. It is due to lack of education. What is wrong in using India. Do you want them to use Pakistan. We used to sing Seetha Ram Jaya Seetha Ram Seethaiku Ramar Othar.m. You are absoilutely right mate. TNA policy is LTTE policy and Prabakarans legacy is going to be around for a hell of a long time. So get used to it mate. You have no self respect otherwise you ( Sinkalam) wouldnt be hiding under a Tamil Name. We might be 4 % now but do you know that millions are waiting to return and there are 80 million accross the Ocean and many would find Home in Eelam once the economy takes off and 35% of the Lnd wont be enough. Of course, only the self respecting leader and his people would not surrender their own land. After all Tamils have been demanding “their” land from Sinhalese and their leaders. Only the self respecting leader and his people should worry not Mahinda and his people. Mr. HAriharan says India – Aided and assisted programs. In reality India should pay compensation of all destruction carried out by LTTE. Instead, Money that should be spent for the South is spent in the North. India is giving pocket money, that is in comparison to what they give. When are you going to stop being stupid talking a lot of rubbish. At the moment no money is being spent in the North and talking about compensation first of all you should pay back the money you have looetd from the North. As for your other rubbish let me tell you there is no fight between USA and India. No one can over rule India when it comes to controlling anything in Sinhala Lanka where India has absolute Jurisdiction. Why do you think USA couldnt use Naval facilities in Trinco which has idled for the last 64 years and that is because India wouldnt allow it. USA was prepared to pay billions which has cost Sinhala Lanka a lot of money in lost revenue. Now you know dont you who controls Trinco it is your master India. By the way despite being given a personal invitation the master is not coming to the party how humiliating. You make the problem and the task ahead sound more diffficult than it alredy is. We have waited for 4 long years to get this far and we didnt have to wait this long. But the reason we waited for so long was due to Need and Greed. Need: MR needed time to complete entnic cleansing and to colonise the North. India needed time to cover up her role in the Genicide by delaying thinking that with the passage of time peoples memory will fade and the will of the international community will be on the wane. If you speak to western leaders they will tell you that it is India who is shileding Sri Lanka from being brought to the Hague for fear of being incriminated. Greed: Taking advantage of MRs vulnerability it was a question of get rich quick as MR was preapred to throw millions and the corrupt Indian politicians were happy to oblige. Just look at what Sharma the head of the Commonwealth has done for a few quids. It is shocking. It was market place and a question of supply and demand. To achive the above two they have sold the Tamils down the river. But every thief in the end gets caught and the wheel of justice is now beging to turn thorough a combination of factors. But let me pick up on a few things and tell you why you are wrong. 1)Taking the Oath infront of a War Criminal is not a breakthrough but farcical.Both the communities have many more miles to go before they can forge a new relationship. ***You are wrong my friend and the true situation is we have light years to travel. 2)Tamil National Alliance (TNA) – a party described till yesterday as LTTE proxies – swearing by the constitution in the presence of the Sri Lanka President does herald a change. *** Only in one sense and that is MR has been forced into submission due to pressure and not through a Genuine Willingness which is a language alien to MR.
3) The Sri Lankan military’s action of blowing up one of the final abodes of LTTE leader Prabhakaran on the election-eve may well portend changes more than symbolic. *** There is nothing symbolic and if it was symbolic why has it taken 4 years. Frankly it is for local consumption. 4)There is no doubt the NPC chief minister has a difficult task of meeting voters’ aspirations within the constricting format of 13the Amendment (13A) ‘Minus.’ And to get some results he has to progress a dialogue with a highly assertive national leadership. 5)The ‘India proxy’ tag of TNA seems to cloud the thinking of not only key national leaders but even better informed Sri Lankans. *** The ordinary Sinhalese ( the vast maority) have no thinking power when it comes to Tamil aspirations. It is non existent in their mind. 6)A case in point is the editorial description of the well merited TNA electoral victory by the Sunday Times, Colombo, on October 29. 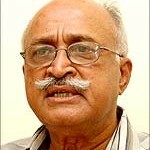 It said: “India has eventually got its way by having its proxy now in power and place in the North of Sri Lanka. This was the foothold it had wanted all these years and it is going to be more than a headache for the Mahinda Rajapaksa Government that caved in to concerted pressure from the so-called “international community”. Was this the sum total of an election held after 25 years? Does it require international pressure for an elected government to “cave in” to conduct its own election? *** I only agree with the bit about International pressure. India was forced into acting at this late stage. 7)Given this situation, the NPC and Wigneswaran will need India’s handholding to wade through the complex political quagmire although he has talked of TNA going ahead all by itself. *** I agree with the above as the only country that can make it work is India as Sri Lankas Sovereignty is limited to Indias Security and for that reason India has total Jurisdiction over Sri Lanka. *** The above is all politicking and I dont trust Cogress to deliver and we have to wait for a change at the top with the Iron Lady wielding inflence. In that respect Mr.Tahckery was recently in town unannunced at the invitaion of MR.
9)However, he indicated no time frame for completion of this process in his answer during the press interaction. This would indicate the issue would continue to figure as an uncomfortable item on the agenda of India-Sri Lanka relations. *** This proves my point regarding the sincerity of Congress in securing a just soultion for the Tamils. 10)A new complication has been added with the Sri Lanka Supreme Court’s recent ruling that provincial councils does not enjoy land powers, as interpreted by India and the Tamil polity. This may trigger a new, tedious legal process adding to the delay. *** The above is nonsense as the Indian Supreme Court can be asked to rule on the validity as it is a two party agreement and one party cannot Unilaterally reciprocate. Otherwise it amounts to Supremacy Of Law and Sri Lankan Law reigns supreme. However, as the issue of Indian PM’s participation is likely to gather political momentum during the second half of the month, we can expect the Indian government to decide on his attendance at the CHOGM only in the last moment. My gut feeling is that Manmohan will attend as those who were paid handsomely will convince him to attend. **** Colonel I totally disagree with you on the above and it is a clear choice between RIGHT * WRONG. Why should India siding with the rightful aspirations of the Tamils alienate the Non Tamil Population. Why shouldnt Tamil Nadu be the Guarators of the Tamil rights in Racist Sinhala Lanka. Indian leadership will have to find an answer soon as the coalition political situation is getting murkier every day. And that would require some difficult tightrope walking. What you are saying above is if I am right that the question of helping the Tamils boils down to what is in it for me.